Starting your own freelance business and becoming a digital nomad can be scary AF. I know. I've been there. The fear of the unknown and leaving the security of a 9 to 5 job is the most crippling part. The good news is that it doesn't have to be a total leap of faith. You can improve the chances of your freelance biz succeeding by making sure you have the right skills that people are willing to pay for. "But isn't learning a new skill expensive and time heavy?" In fact, you only need as little as $10 and less than 5 hours a week to make yourself more hireable. With a little elbow grease, you can equip yourself to become an in-demand service provider. So much so that clients will start seeking YOU out and you'll have job requests lined up without even lifting a finger. Here are four profitable skills that will have you shouting "Boom! Dollar, dollar bills y'all!" from the rooftops. Are you a natural wordsmith? Do you love coming up with witty captions, reading, and creating compelling copy that tells a story? Then put your fingertips to work and kickstart your own copywriting business! Don't let not having a proper English degree stop you from typing your way to a higher paycheck. There are tons of courses out there that can teach you everything you need to know about crafting copy that sells and making it SEO-friendly, too. Is the most used app on your phone Instagram? Want to turn all that scrolling into some serious cha-ching? Instagram marketing is one of the most sought-after digital skills, and it's a surefire way to build your brand or business. In less than a year, I grew my account to 60,000+ followers without being featured in the media or leveraging an existing audience. So I totally get what it's like to start your Instagram profile from scratch. Want to know what's in my secret sauce of Instagram success? I've created a 21-day jam-packed course called InstaGrowth Boss. It comes with step-by-step video tutorials, templates, workbooks and cheat sheets. It's everything you'll need to grow and monetize your brand or business. Plus, you can quickly make this course pay for itself by offering your shiny new Insta skills as a service to your own clients. Use your growth results as proof, set up your own marketing solutions company, and start helping other people achieve their Instagram business goals. Kickstart your Instagram growth with these 8 proven (and stealthy) steps! Are you the type of person who daydreams while doodling squiggles? Or is your favourite part of Sims decorating the house and creating the perfect colour scheme for each room? 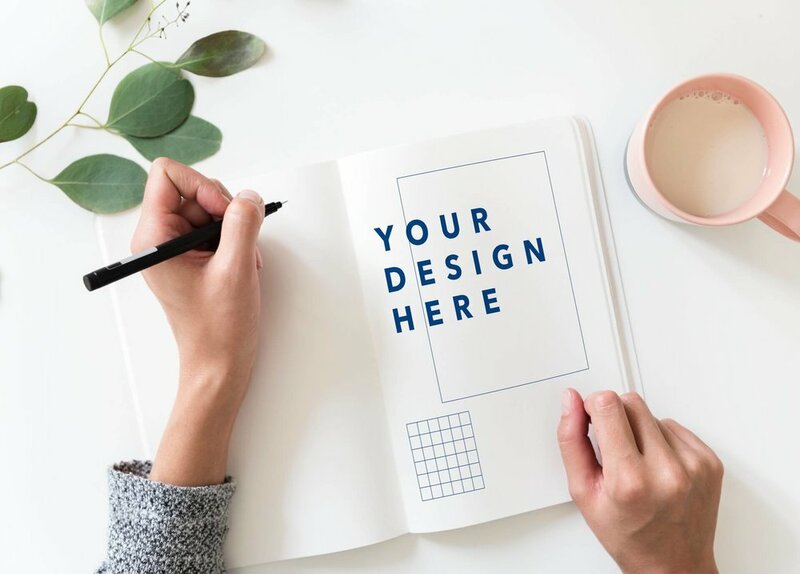 If you can master tools like Photoshop, InDesign and Illustrator, you can get paid to bring brand logos, business cards and landing pages to life. What's better than getting paid to be creative all day? Visual designers are one of the most in-demand jobs in tech. On average, designers earn $64,000 each year, and there are over 198,000 positions open in the U.S. alone. Graphic Design Basics: Core Principles for Visual Design on Skillshare - $15 USD per month for unlimited classes. Calling all problem solvers and builders! Are you ready to start a career in one of the fastest growing and highest paying jobs in tech? Sign up for a web development course and learn how to create interactive, beautiful websites that help your clients convert online surfers into paying customers. You don't need to be a genius to learn how to code. It's a lot simpler than it looks and before you know it, you'll be HTMLing and CSSing your way to a higher paycheck while on a beach in the Bahamas. It's crazy to see how many of the world's most sought-after digital skills are actually so affordable to learn. So what are you waiting for? Grab that bull of opportunity by the horns and kickstart 2018 the right way! Invest a few hours each week into learning a new skill, and before you know it, you'll be living your best ~digital nomad~ life. Feel like you need a bit more guidance? Take the 30-second quiz to discover your freelancer superpower. You know, the one that will allow you to run your own business from anywhere! And sign up for the Freelance Biz in a Box course where I'll walk you through how to take your current skills (or newly learned ones! 😉) and turn them into your own profitable, online business.